You know when you go to bed at night and there are no mushrooms on the lawn, then the next morning, there’s about 25? But, substitute mushrooms for wide-leg, cropped trousers. They are EVERYWHERE! And, it’s not just the high-end, or high-fashion retailers who are going there; Next, Boden, even Marks & Spencer are getting in on the act! 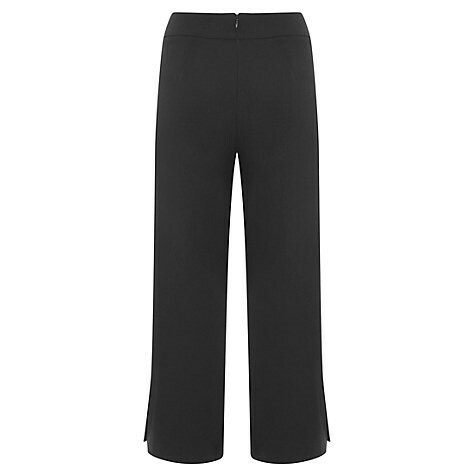 Personally, I love them, but with my body shape I find trousers quite easy (Sorry! Shoes and skirts are my cross to bear). Lots of my clients are asking me how to put an outfit together featuring this item. I guess after, literally, decades of wearing skinny or straight leg shapes, these are a bit of a curve ball. It seems many women are stumped at how on earth to make them work. 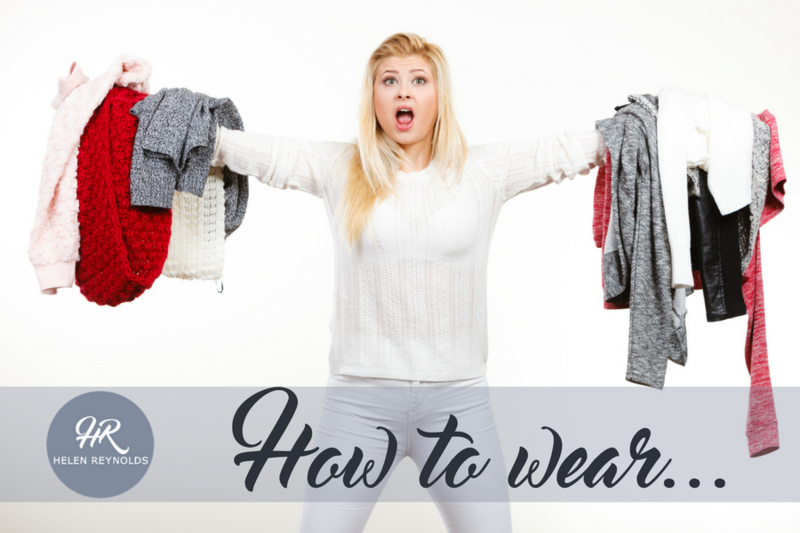 They do require a bit of thought and attention to detail and lucky for you I’ve put together my 3-step plan for wide-leg perfection. A dark neutral colour is the most flattering. You know how if you paint a room a dark colour it appears smaller, while a lighter colour makes it expand, the same applies here. 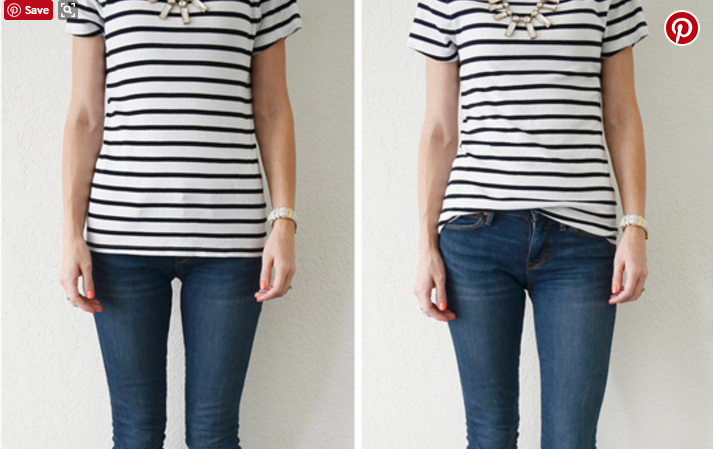 If you want your thighs to expand, go for white or tan. Instead, choose black, navy or, the colour of the moment, khaki. If you are top heavy, and you want to minimise your top half and make a feature of your bottom half lighter colours are go! If it’s already too late and you’ve purchased a pair in a pale colour, but your bottom half isn’t your best bit, there’s no need to tear the house apart looking for the receipt. Just pair them with a light colour on your top half to create a colour block. DO NOT wear them with a black or navy top. Promise me you won’t. Another key here is to try to avoid the hemline of the crop sitting on the widest part of your calf. This will make your entire leg look chunky. You want them to finish on a thin part of your leg, whether that’s your ankle or higher up. If you’ve got a bit of a tummy (and who over 30 doesn’t? ), aim for a flat-fronted waistband with a side or back zip. Personally, I love these Mint Velvet crops because the flat front creates a lovely smooth line and the side splits make them look a bit fancy (but not too much). 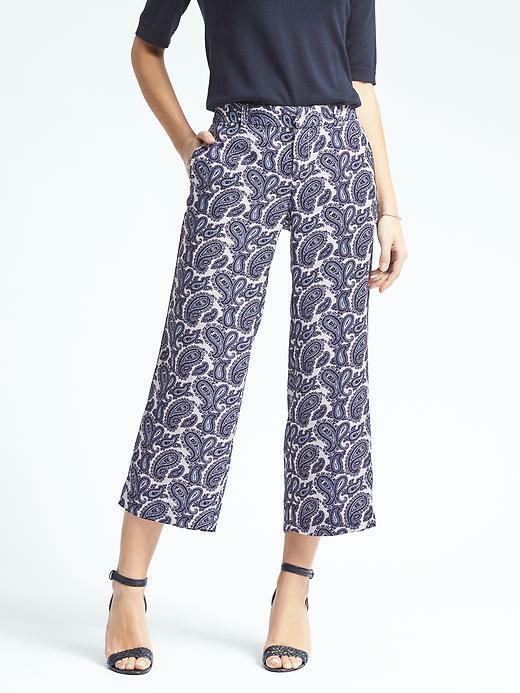 Unless you are auditioning as the genie in Aladdin, loose trousers in tandem with a billowing blouse is not a good look. Choose your top carefully. Go for a fitted shape, in a fabric that clings in all the right places or tuck your top in. Surprisingly, even tucking is not an easy thing to get right! If your waist is high and not defined you might look very out of proportion, BUT, there is a new way to tuck (I know, what will they think of next?! It’s a good job you’ve got me to keep you up-to-date!). This blog post on Babble can talk you through how to do the ‘half tuck’, which helps to counteract any out of proportion issue. The trend-setters are wearing their cropped wide-legs with flats. Choose either trainers, plimsoles or a flat sandal or shoe. Luckily, we are spoilt for choice this season where flats are concerned. It seems fewer and fewer women are bothering with heels. You could opt for a pointed toe in a pretty colour or a chunkier loafer or brogue, if that suits your style. If you need a little height or want to wear your trousers in a smarter way, go for a strappy sandal. Don’t even bother trying your old favourite, traditional, court shoe, it just doesn’t cut it with this style of trouser. Hopefully that has given you some ideas on how to take this trouser shape and run with it (though be prepared for wind resistance, not the most aerodynamic shape). Let’s hope it’s a warm summer so we aren’t all shivering or ‘catching a chill’ due to our over exposed ankles. On the plus side, you will only need to shave the bottom 12 inches of your legs. Win! Sadly not for those of us whose ankles are less than perfect! Thanks Alexandra, I’m so happy you find my blogs useful. Thanks for taking the time to comment. That’s really great to hear Judith! I have to admit I didn’t like the idea when I first saw it but I am a late adopter now. I love it, especially when a top is just slightly too long for my proportions. Let me know how you get on with it. Those tiny holes drive me mad but what if you don’t have a flat tummy..
Brillian post Helen as I have tried these on and rejected so many times. Being short is a problem with these trousers as well as, due to lack of leg length, many of the crops are not!